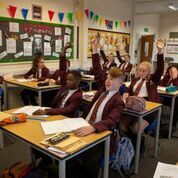 Broadoak School rewards pupils for a range of reasons, including outstanding levels of attendance, punctuality, behaviour, progress and effort. Many of the rewards are listed below. Look out for praise postcards on your doorstep! Be a “Star of the Week”! Be a “Pupil of the Month”! Be the “Pride of the ILS”! Earn badges to honour your achievements! Be awarded certificates and trophies! Win places on termly reward trips with your high standards of attendance, punctuality and behaviour! You need 95% attendance for the term, no lates and no removes, days in INTEX or stepouts during the term. Work hard together with other pupils in your form group to win form challenges and end of term prizes and activities! Earn departmental badges for outstanding work, attitude and progress! The policy is to operate the normal school sanctions including detentions after school and at lunch time. A full list of sanctions is available from school. We operate a “REMOVE” model where pupils, who despite verbal warnings from staff continue to disrupt a lesson, are removed. Pupils who are removed or who self remove will automatically receive a 1 hour after school detention. Parents of pupils removed from lessons will receive a text message and a phone call home to inform them of the sanction. Pupils who fail to attend the 1 hour detention with the class teacher that day will be placed in INTEX the following day. Pupils who receive 2 removes in a week will be placed into INTEX with the Pupil Support Manager. INTEX starts at 10am and finishes at 4pm. Work provided in INTEX will be taken from a bank of work supplied by the Curriculum Managers. 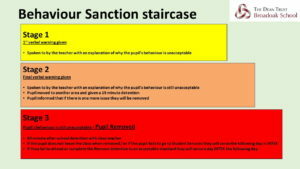 Work must be completed to a high standard, pupils failing to meet the standards expected in INTEX will have a further sanction imposed. A disruptive pupil is uncooperative and prevents both themselves and other pupils in class from working. A disruptive pupil takes up teachers attention and prevents the teacher from giving the other pupils the attention that they need. Disruptive pupils are selfish and do not care about other pupils in their class who want to learn and do well in school. 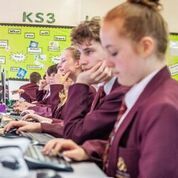 The Government states: Disruptive pupils affect the learning of others due to their behaviour, these pupils could be costing other pupils up to an hour of learning a day or 38 days (nearly 8 weeks) a year. Pupils who blatantly disregard the code of behaviour expected of them or behave in an anti-social manner may be sent to another educational establishment for a period of time, temporarily or permanently excluded from the school in accordance with the procedure formulated by the Local Governing Body. In such cases parents would be kept fully informed and involved. A serious view is taken of any anti-social behaviour committed by our pupils on the way to or from school. Pupils are expected to remain on the premises during lunch time. Detentions are given to pupils whose effort, attitude or behaviour fall below the expectations of staff at Broadoak School. Staff may detain pupils at break, lunchtime or after school for up to 30 minutes without giving notice to parents, although the school endeavours to inform parents of every detention. Detentions of up to 1 hour after school can be given for more serious misdemeanours, parents will be contacted if children are to be detained for over 30 minutes.